Can’t stand building a little tepee or log cabin or whatever when it comes time to build a fire? 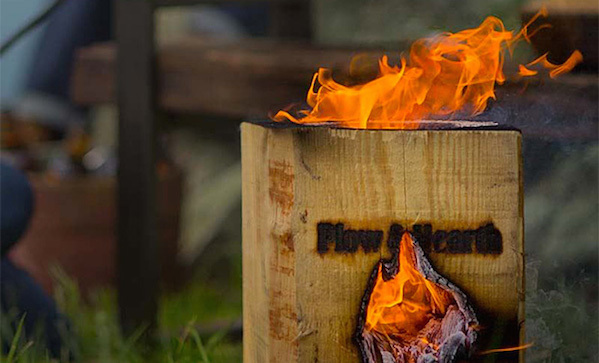 Here’s a solution: this portable bonfire block ($30). It’s a hollowed-out block with good airflow, suitable for building one contained fire. It comes with a starter, which you just light, place, and then you’re good to go. It makes our days as boy scouts, lighting fires with Zippos and axe body spay, look crude by comparison.